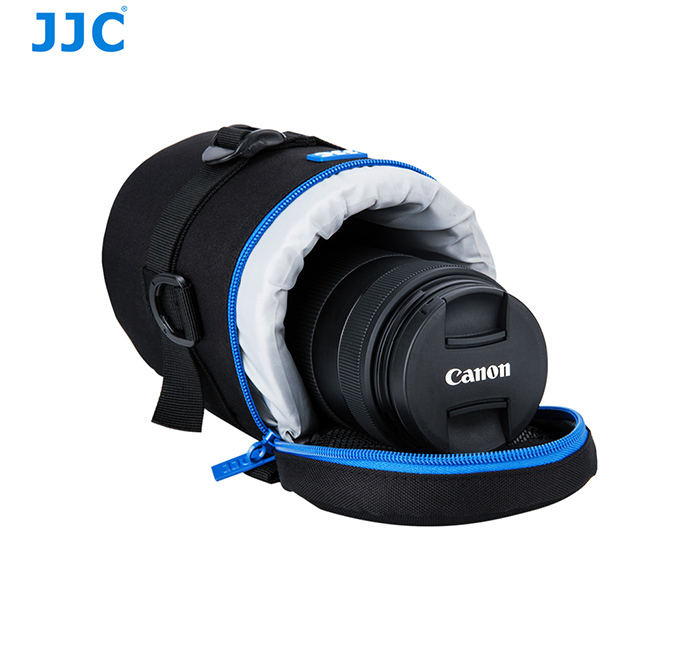 JJC Deluxe Lens Pouch is designed to carry a typical SLR lens. This pouch features heavy-duty polyester construction with a foam cushion interior. It provides great protection and shock absorption for your lens. 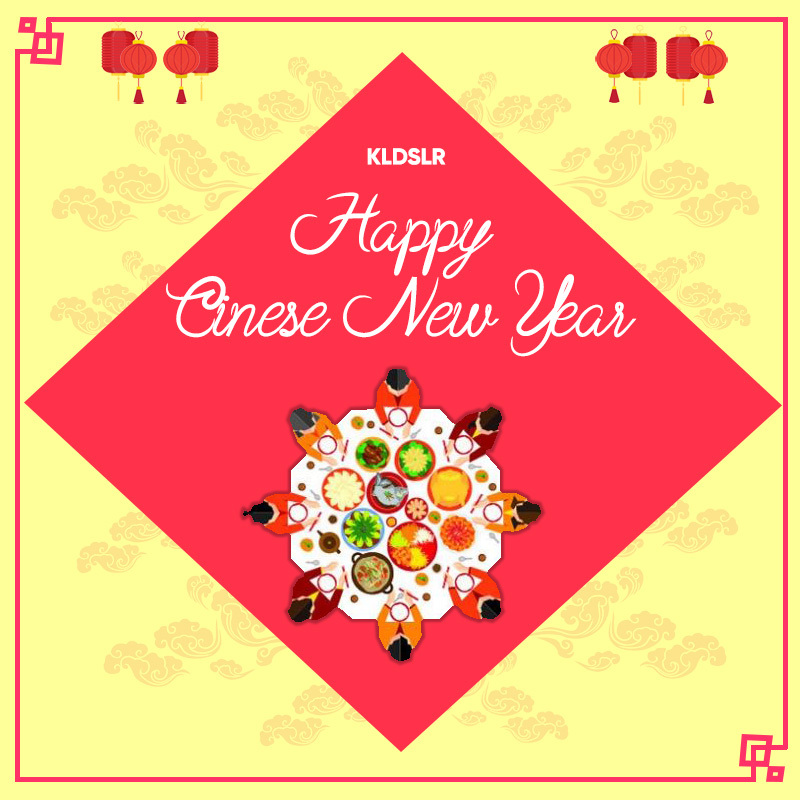 Besides, its exterior material is water-resistant, which can protect your lens from rain and moisture. 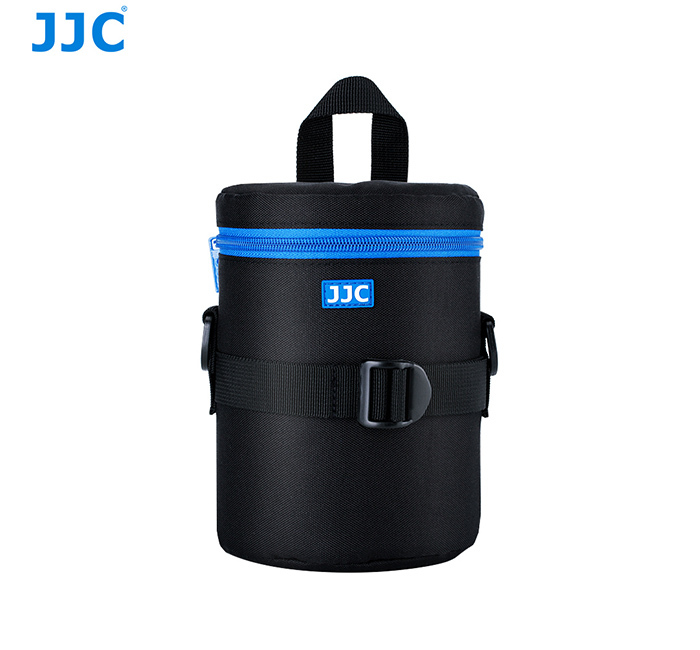 It has deep blue two way zipper with a mesh accessory pocket inside the lid. The two zipper sliders are designed with small loops, thus you can lock them together with a small lock for security. 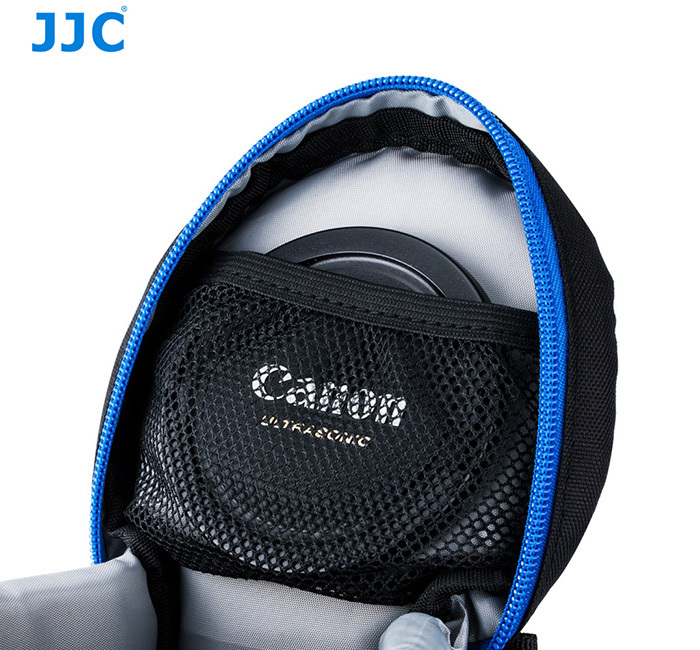 You can put the small accessory, such as lens cap or remote controller, into the inside pocket. Features 4 carrying options: 2 D-rings with a strap to be used as a shoulder strap, 2 webbed eyelet loops for a shoulder strap, rear double touch belt loop for use on waist belt and a grab handle on the top for convenience. In addition, the narrowed rear double touch belt loop also fits Lowepro belt. 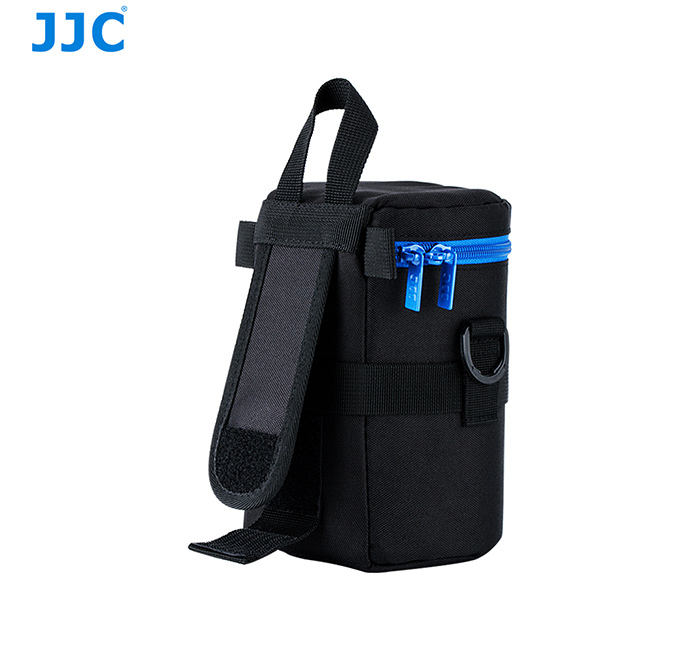 The deep blue zipper coordinate with the JJC logo, which makes the pouch fashionable. This series of lens pouches is available in 7 sizes to fit a wide variety of lenses. 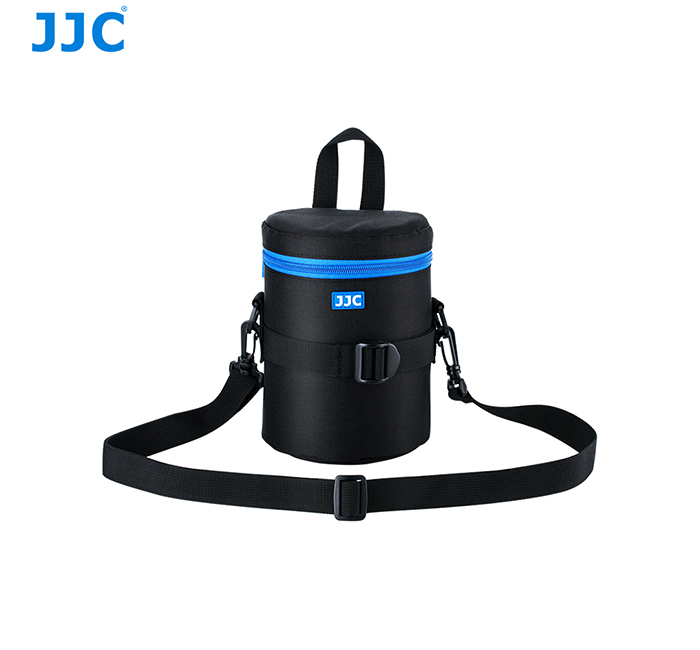 JJC DLP-7II lens pound not only fits select lenses but also fits JBL Xtreme Protable Bluetooth Speaker. 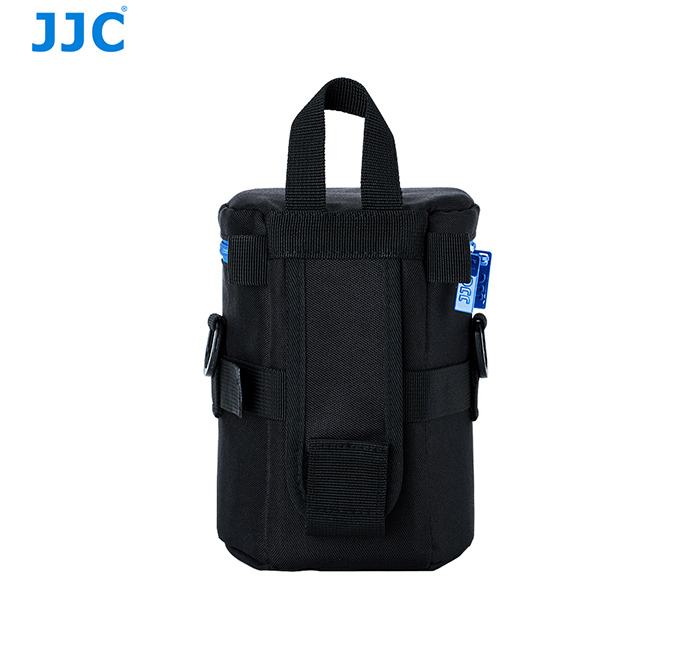 For JJC DLP-1II, DLP-2II, DLP-3II and DLP-4II, package includes a free shoulder strap. 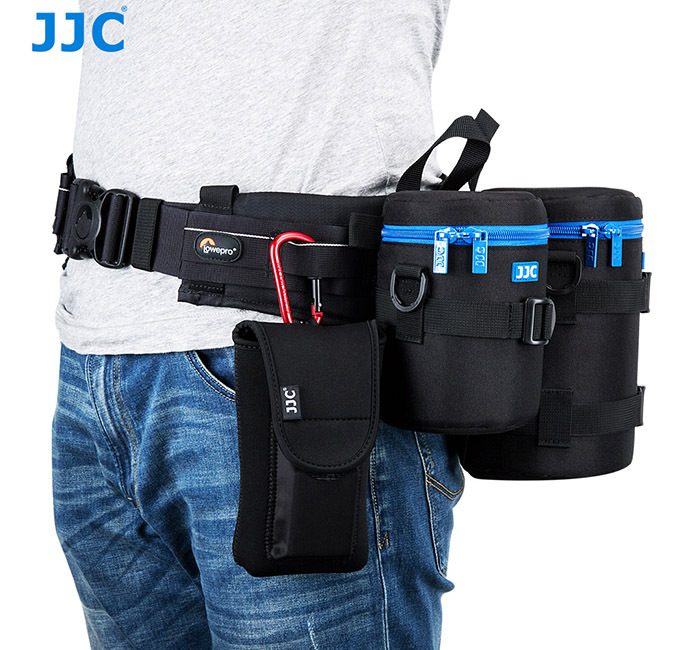 For JJC DLP-5II, DLP-6II and DLP-7II, package includes a free shoulder strap with the shoulder pad. Good product for Belt system.